WASHINGTON (AP) -- A drugmaker working to develop a pill to boost sexual desire in women says regulators are demanding more studies on the experimental drug. Sprout Pharmaceuticals said Tuesday that the Food and Drug Administration wants to see more data on how the company's drug, flibanserin, interacts with other medications and how it affects driving ability. Nearly 10 percent of women studied in company trials reported sleepiness while taking the daily pill. The FDA's request represents another hurdle in the pharmaceutical industry's 15-year search for a female equivalent to Viagra. But in a news release, Sprout Pharmaceuticals President Cindy Whitehead described the development as a "significant step toward the approval of flibanserin." The three studies requested by the FDA are relatively small, involving 25 to 50 patients each. The company says it plans to resubmit its drug application to FDA in the third quarter. The company based in Raleigh, N.C., said in December that it had reached an "impasse" with regulators after the agency issued a second rejection letter on the drug. The company filed a formal dispute over the agency's decision, which prompted the FDA's latest request for additional studies. 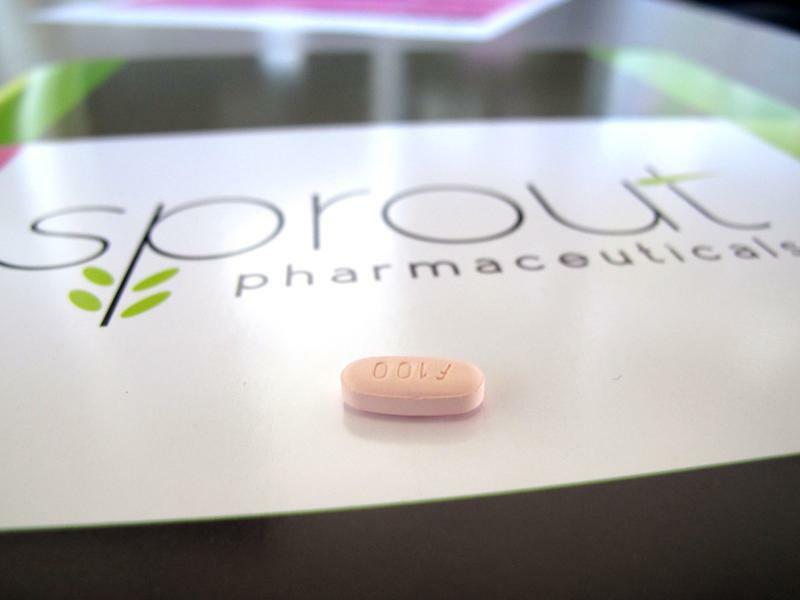 If approved, Sprout's daily pill would be the first drug for women who report a lack of sexual desire, a market that drugmakers have been trying to tap since the blockbuster success of Viagra for men in the late 1990s. While earlier drugs worked on hormone levels, flibanserin is the first attempt to increase sexual desire by acting on brain chemicals that affect appetite and mood. The race to develop a female libido booster was once dominated by multinational companies like Viagra-maker Pfizer Inc. and Procter & Gamble, but today the space mainly consists of tiny startups. Sprout Pharmaceuticals, led by a husband and wife team, acquired flibanserin from Boehringer Ingelheim in 2011, after the German conglomerate abandoned development following an FDA rejection letter. Boehringer studies showed that women taking the drug reported only a modest uptick in "sexually satisfying events." The FDA's initial rejection followed a 2010 meeting where a panel of expert advisers unanimously voted against the drug, citing its lackluster effectiveness and side effects such as fatigue, dizziness and nausea. Even if the FDA eventually approves flibanserin, Sprout will have to convince doctors to prescribe the drug for a condition that is still viewed with some skepticism. The drug would be specifically approved for premenopausal women with hypoactive sexual desire disorder, described as a lack of sexual appetite that causes emotional distress. Because so many factors affect female sexual appetite, there are a number of other possible causes doctors must rule out before diagnosing the condition, including relationship problems, hormone disorders, depression and mood issues caused by other drugs like sleeping aids and pain medications.